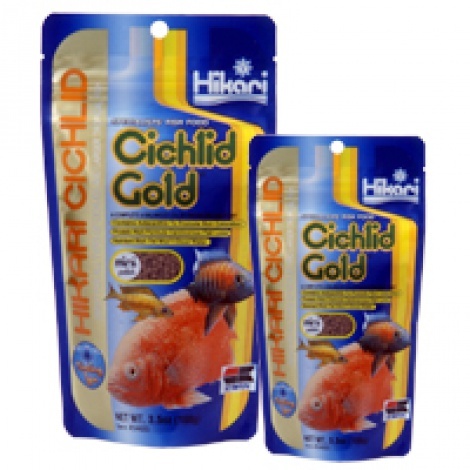 A sinking pellet for all types of cichlid and larger tropical fish who require higher protein levels. 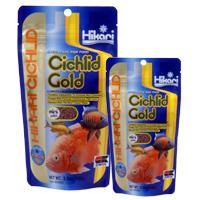 An excellent daily diet for cichlids and larger tropical fish helps restore vivid coloration to washed out specimens. Includes the highest grade of carotenoid available today, offering superior color enhancement while helping your pet retain their beauty year round. The higher natural protein levels and balanced nutrition offer excellent growth rates, improved digestion and superior form. Contains stabilized vitamin C which promotes resistance to stress and immunity to infectious disease thereby allowing your pet their best chance at maintaining good health.